Government intervention in our economy is currently taking a massive toll on living standards, especially for the poor, who do not have high disposable incomes and spend the majority of their cash on basic essentials. They take the brunt of rises in the cost of living. We can create a richer society where the costs of living fall, and living standards rise faster. Here’s how we will do it. The cost of housing has skyrocketed over the last five decades and with it the cost of renting. House prices rose by 4255% in the UK between 1971 and 2011. 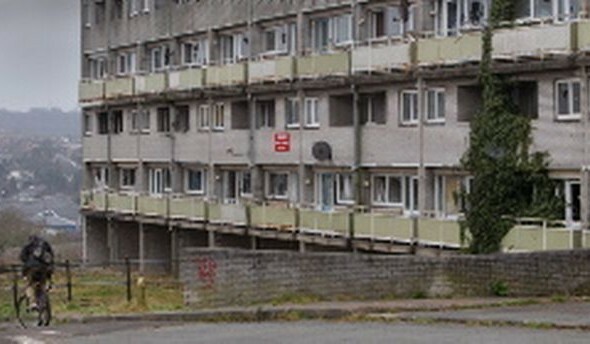 This has largely been driven by government interventions including too many regulations and restrictions on the use of land and buildings such as planning and zoning laws, landlord registration, building codes, height restrictions, greenbelt policies, stamp duty, and HMO licensing which limits the number of unrelated people who can share a flat. Recently, a Russian company used a 3D printer to produce a little house in 24 hours at a cost of around £8000. A more open economy will provide cheap accommodation and we may see the end of homelessness sooner than we might think. Currently we are forbidden from importing food and consumer products from some of the poorest countries in the world due to trade restrictions. By removing these trade barriers we can help lift millions out of poverty in third world countries) while reducing the price of shopping, which will especially help those at the bottom who spend the largest percentage of their income on basic essentials. Businesses currently spend £80 billion a year complying with regulations and much of these costs are passed on to customers in the form of higher prices. Our common law courts are already adequately equipped to deter companies from false advertising or selling faulty products, so, much of these kafkaesque structures are only causing busy work for bureaucrats, accountants, actuaries, lawyers, and administrators. This is not to mention countless practitioners and small business owners who have to spend lots of time filling out forms instead of serving customers. Cutting the unnecessary red-tape will free up these pounds (and businessmen) for creating things that actually improve other people’s standards of living; it would also even the playing field for small businesses who cannot afford to compete with large corporations who can afford (with) their own legal staff. Many taxes on businesses are simply passed on to their customers in the form of higher prices and staff in the form of lower wages. We would remove them to lower costs of production and increase wages. All other parties are for allowing The Bank of England to print money whenever policy-makers decide on a bout of spending to shore up the economy in the short term. Rarely do they mention that the secondary consequence of this reckless action is to lower the value of everyone else’s money, driving up the cost of goods and services. This price inflation, coupled with the repression of interest rates, encourages people to go into debt and unfairly punishes people who have saved. The average person in the UK spends 20-25 years working for the government. Libertarians are not in favour of taxes in general, but we especially want to lower the tax burden for people on low incomes. The Scotsman once reported that at peak times, taking the train from Glasgow to Edinburgh might be one of the most expensive lines per mile in Europe. Government interventions have effectively turned the transport industry into a cartel where only a few companies are allowed to provide services – and even receive government handouts for the privilege of doing so! Expensive licenses push up the price of provision, and attacks are being made on the so-called “gig” economy where people choose to be their own boss while soliciting jobs from an agency, such as Uber. We would open up transport provision to the free market which would increase the range and quality of services available while radically reducing the cost. In order to climb out of poverty people need a ladder and that ladder is skills. The more skilled a person is the more choice they have over where they work, whom they work for and in what conditions. Currently we have a system where huge numbers of people are so unskilled they have to work for whoever will employ them at whatever wage. Many businesses demand experience from the outset as they cannot afford to train their own staff under the current regulatory structure and economic conditions. This forces people unnecessarily into public colleges for an education they should be receiving at work. They accumulate debts, as does the public purse. We believe that people should be able to use a job to gain experience and skills which will help them climb the ladder and become masters of their own destiny rather than depending on the government for alms. Government interventions into private healthcare and education are currently driving the cost of these services up so high that only elites can afford them. Our platform would allow innovators in the private sector to provide affordable care and education to a growing number of people. This will lead to copy-cat innovations that make savings throughout our public services also. Recently an American entrepreneur was able to create a network of cheap private schools in North Carolina and educate each child for around £4,450, as compared to the state which was paying about £7,500 per student to offer an inferior quality of education. Another, Dr. Josh Umbehr, was able to save patients sometimes as much as 97% on medication by cutting out middlemen and drastically reduce the cost of patients healthcare by 80-90%. Another MD, Dr. Keith Smith, opened a Surgery Centre in Oklahoma that provided services so cheaply that other hospitals had to respond by lowering their own tariffs – creating a deflationary effect, not only in Oklahoma but even in further flung places. We could use that kind of innovation here to make limited resources stretch further and do more good. A rich country is one that can afford to look after its poor and vulnerable with ease. With falling costs of accommodation, transport, education, healthcare and other essentials we could take care of far more people for less. Our policies would not only help the poor directly but reduce the cost of helping the poor for third sector organisations and welfare services. With the cost of living for the average person falling every year rather than the price inflation we experience, people would have more cash left over to improve the lives of their families and create jobs. Innovation and technologies have driven the price of goods down and the quality of services up, making luxuries that were once the preserve of the very rich affordable to all. With a more open economy we can see these improvements accelerate. 10 Comments on "What Libertarianism Can Do For The Poor"
You really think it is a good idea not to require registration and regulation of landlords, and that this will help the poor? Have you ever been to govanhill? I am going to answer your comments in good faith even though you have been rather rude – I am going to give you the benefit of the doubt. Landlord registration inheres additional expenses to adhere to – both in money and time. These have to be accounted for and are passed on to the tenant in the form of higher rents – particularly when there is a shortage of supply and renters are in competition for properties. The solution is to give people more options so landlords have to compete for tenants rather than the reverse, the natural result of that will be higher standards because that’s just basic supply and demand. If would-be tenants have a choice between landlords they are going to seek out the best deal for themselves and that will push up standards. As for your cynical comment – a 3D printed home for a poor person is better than no home at all. That’s a good place to start. If we can get that in place for everyone first then we can look at raising standards from there, but I fear it’s you who is the cynical one for seeing bad intentions behind this post rather than I for writing it. But in our current state of affairs, we are all aware that not all landlords are registered. Illegal landlords don’t generally charge less for their properties, do they? Instead, they are still able to rent them with little concern for their upkeep, to people who are desperate. They allow these desperate people to live in slum conditions for their own personal gain. Do you think that this kind of housing and these sort of practices would simply disappear in an unregulated housing market? As for 3d printed housing; I would be surprised if a 3d printed house would meet the standard set out by building and housing regulations (I understand that you would rather these regulations didn’t exist, I don’t, for what I feel should be obvious reasons). People living in the U.K. have a statutory right to reasonable, secure housing. The fact that many are homeless I would argue is purely down to the ongoing privatisation of the housing sector rather than to government regulation. My comment about the printed houses was in no way cynical, quite the opposite, in fact. I strongly believe that yes, everyone should have a right to reasonable and secure housing, and that this shouldn’t be governed by the (cynical) self interest of those who wish to enrich themselves, or by market forces. Those unregistered landlords are able to provide services as poorly as you say because of the supply shortage, which is cause by government – not the market. Those people take what they can get because they have limited options. And yes sometimes it’s a lot cheaper speaking from my experience of knowing people who rented illegally to take advantage of a better deal. Would you like to debate it through google hangouts so we can go into more detail and iron out our differences. We can post up the video if you’re satisfied with it. Yes, let’s print some little houses for the poor to live in. That will keep them out of the way, and without any regulation of the landlords they will have nothing to complain about. Sounds great. Perhaps I can ask a simple question. I gave the example of Govanhill in my first reply. How would you envisage the removal of regulations improving the situation that was highlighted in Govanhill a number of years ago? 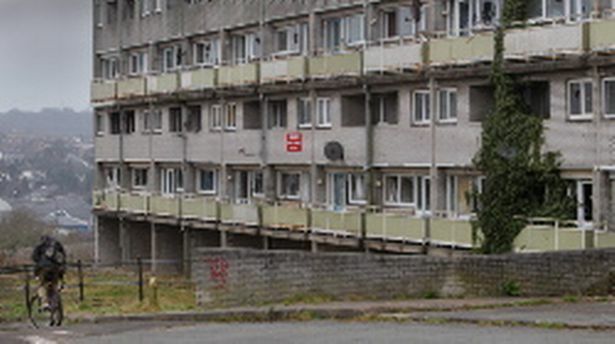 How would the worst examples of slum living conditions in private rented accommodation be resolved by the free market? I wonder if you could explain what the libertarian view of a country “looking after it’s poor” really means? Do you believe in a welfare state? Publicly funded health and education services? Intresting, I would argue, we are not a rich country, we’re massively in debt and simply demmed a “good creditor” enabling us to keep borrowing Monopoly money. Also, “looking after the poor” should that really be a government obligation? Should it not be left for society and individuals to deal with themselves, should they choose? “Looking after the poor” as a government obligation inherently means redistribution of wealth i.e. Stealing from one to give to another Via more Taxation. Should such a thing not be down to charity? when we live in a world where the predominant system of economic and social organisation is based upon the accumulation of wealth and competition, rather than mutual cooperation and sustainability, do you really think that looking after the poor and vulnerable in society can be left up to the benevolence of those fortunate enough to be wealthy? For the most part, that’s what family are for, should they chose to, not the government.Infringing on people’s freedom and imposing mandatory theft to fund social programs leans more toward communisam and socialisam rather than libertarian ideology. Social programs come at the cost of freedom of the individual, it enslaves the individual to a government and forces them in to society. Ideally, you want to limit government responsibilities to maximise freedom for the individual. The cost of course is social programs, leaving social issues down to society, community’s and individuals that may or may not care. That’s reality and that’s the cost of liberty. Choice of the individual over the force of the will of the many. We stand with the people of Scotland in favour of individual liberty, a free and sound economy, foreign neutrality and political independence. If you wish to help shape the future of Scotland or libertarianism within it then the answer is simple - Join the Scottish Libertarian Party today! Andrew Carey on NHS. Not the Messiah, Just a Mess. Antony Sammeroff – Think Like An Economist | The Conscious Resistance Network on Living Wage : The Road to Hell… is paved with good intentions. Join the Scottish Libertarian Party today and take back your life, freedom and liberty. With Membership comes great ability and benefits including party updates, ability to vote of issues such as the constitution and general policy.